YouTube Trends: "Words Do Hurt"
Anti-bullying campaigns pushed off in full force last fall with the It Gets Better project created by Dan Savage. That campaign, which began modestly, resulted in hundreds of encouragement videos from celebrities, politicians, and everyday people (including googlers) who wanted to share stories and words of encouragement. Eventually the President of the United States even contributed one. 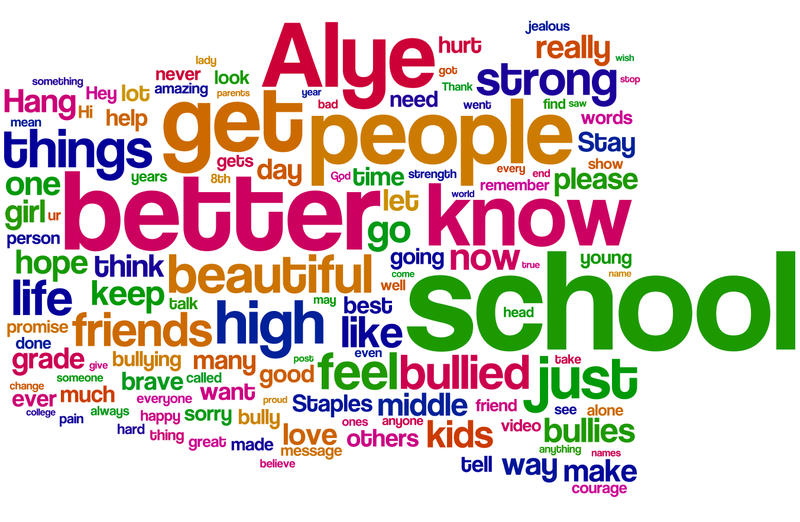 Alye's simple message -- "Words are powerful" --- has generated video responses and hundreds of comments.